Ain't nobody got time for funky smells. 1. Eliminate smells and residue left over from your pet's latest accident with an enzyme-powered odor and stain remover. It's non-toxic, so yes, go buy that new shag rug because now your furry friend won't ruin it. It's chlorine-free, color-safe, and safe to use around pets and children. Get it from Amazon for $19.97+ (available in two sizes). If you're a struggling pet owner, check out things that'll keep your home from smelling like your pet. 2. Freshen up a pair of stanky running shoes or boots with a mint deodorizer. For full effect, apply the spray directly to your feet! P.S. it also can be used on sports equipment. This spray is made of essential oils of mint, eucalyptus, tea tree and thyme. It's natural and non-toxic! Get it from Amazon for $13.95 (available in three scents). 3. Plug in an odor eliminator to do the heavy lifting for you. It'll sanitize the air and remove any pollutants that may be causing annoying smells. And check out ways to make your kitchen smell heavenly. 4. Have a lavender spray on-hand for quick spritzes when needed. You can use it as an overall room spray, or for linens before bedtime. It'll rid of odors, leaving a pleasant and relaxing lavender scent behind. Promising review: "I love this product and use it in all the rooms of my apartment. It has a gentle sent, which I love, yet lingers long enough to make a difference in each room. The amazing thing about this spray is that my cats like it, too. They don't run away when I use the spray, which happens when I use regular room spray. Wonderful product!" —Adele C.
Get it from Amazon for $12.99 (available in six scents). 5. Throw a mini Native deodorant in your purse for on-the-go protection, especially during the warmer months. It's an all-natural, aluminum-free solution that will last. I have a ton of friends who use Native deodorant and they swear by it. It's a great aluminum-free option, but really effective. They've put it through vigorous workouts and always come out with shining reviews. Get the travel-sized sampler pack from Walmart for $23.97. For more options, check out the best natural deodorants from BuzzFeed Reviews! 6. Change your bed to this charcoal-infused sheet set that'll stay fresher for way longer than normal sheets. They're incredibly hygienic, odor-resistant, and breathable. And honestly the less you have to struggle changing sheets...the better. There's no graceful way to do it, there's just not! When you buy, you get a flat sheet, a fitted sheet, and one to two pillowcases (depending on size). Get them from BuzzFeed's Goodful line sold exclusively at Macy's for $65+ (available in twin–Cal king and two colors). 7. Never experience musty bath towels again with these ultra absorbent, quick drying terry towels. Made from 100% cotton, they'll dry efficiently, meaning you won't walk into your bathroom the next morning and smell something damp hanging on the door. Get a set of four from Amazon for $36.99+ (available in four colors and as a bath sheet). And if you're all about bathroom cleanliness, check out things that'll clean any dirty bathroom. And if you're on the hunt for more options, check out the best bath towels from BuzzFeed Reviews. 8. Insert a pair of charcoal bags to absorb that icky feet smell that always seems to linger after wear. They'll prevent bacteria and mold from growing in the deep dark crevices inside your shoes. Plus, they last super long! Once a month, place the bags in direct sunlight to rejuvenate the charcoal. Get them from Amazon for $9.45+ (available in five sizes). Check out our full review of the charcoal bags here. 9. Pop another charcoal bag into your fridge so you never have to witness disgusting smells when food spoils. The bags are fragrance-free, so they'll just absorb whatever moisture and smell is trapped inside without making anything smell perfume-y. To save space, a suction cup is included so you can hang it from the wall. Also, just the like shoe bags above, you can pop these bags in the sun to revive. They'll last up to two years! Get it from Amazon for $8.42+ (available in packs). And to get full use out of what's inside your fridge, check out genius ways to make your food actually last longer. 10. Eradicate bad breath by using a tongue scraper to remove plaque and restore oral hygiene. The smooth steel won't nick your tongue and it can be easily cleaned for multiple uses. 11. Rid of excess moisture in the air with a DampRid Moisture Absorber. They last up to 60 days once in-use and work best in smaller spaces (like a closet, bathroom, laundry room). The crystals attract and trap excess moisture, leaving the air free of musty odors. Get a two-pack from Amazon for $4.31+ (available in two scents and in larger packs). 12. Use a nourishing body wash infused with peach and ginger so you never have to worry about the dreaded B.O. Its antioxidant-packed formula will cleanse your skin and leave a fresh scent long after your shower ends. Get it from Amazon for $5.49. 13. Restore your car to an acceptable-smelling state by hanging an SVU-inspired air freshener. Nothing will ~arrest~ odors better than Olivia and Elliot. There are twelve scents to choose from! Get it from Victory Screech Labs on Etsy for $7. 14. Make your gym locker or bag smell like a field of flowers with these deodorant balls that'll fight the cringing smell of perspiration. Their size is perfect for tiny spaces and all you need to do is twist the ball to activate their clean scent. Get them from Walmart for $12.95. 15. Add a washing machine cleaner that'll remove contaminants that can build up and cause odors, which in return affect your laundry! It's septic-safe, allergen-free, and has an orange scent. You want your clothes to come out smelling CLEAN, not dirty. To get rid of smells, add the cleaner and run the washing machine empty. Get it from Amazon for $14.29. If you really dread laundry day (uh, who doesn't), check out ways to make doing laundry so much easier. 16. Keep your underarms smelling fresh by applying aluminum-free, hypoallergenic, vegan, baking soda-free, cruelty-free deodorant. It can provide coverage for up to 72 hours! I've been using Lume for a few weeks now and really love it. It's pretty much magic. You've only got to use a little on each armpit, but don't worry. It goes a longggg way — I've noticed full days without smells, and that's with working out. Get it from Lume for $13.99. 17. Conceal the bathroom smells of number two with a bottle of Poo-Pourri. Spray before you go, and violà! All you'll smell is a mix of essential oils! Check out our highlight of Poo-Pourri here. 18. 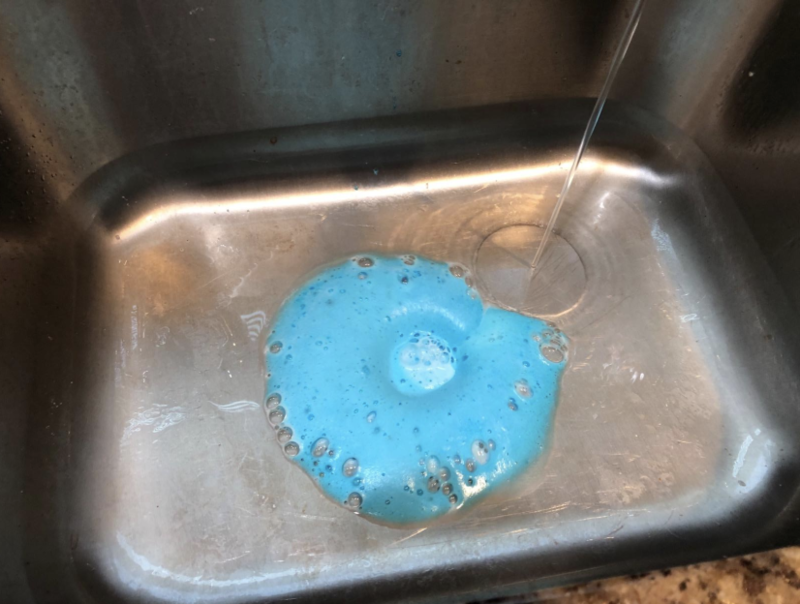 Switch to durable Lysol antimicrobial sponges that won't hold odors after a good scrubbing. The rough side will tackle caked-on food, but won't scratch cookware or dinnerware. Get a two-pack Amazon for $4.66 (available in larger packs). Fore more options, check out the best kitchen sponges on BuzzFeed Reviews! 19. Cancel out funky smells with a bottle of OdoBan disinfectant, which kills 99.9% of germs and can be used in every room of your home. It won't leave any residue behind, either! Get a one-quart spray bottle and one-gallon concentrate refill from Amazon for $17.22+ (available in three scents). 20. 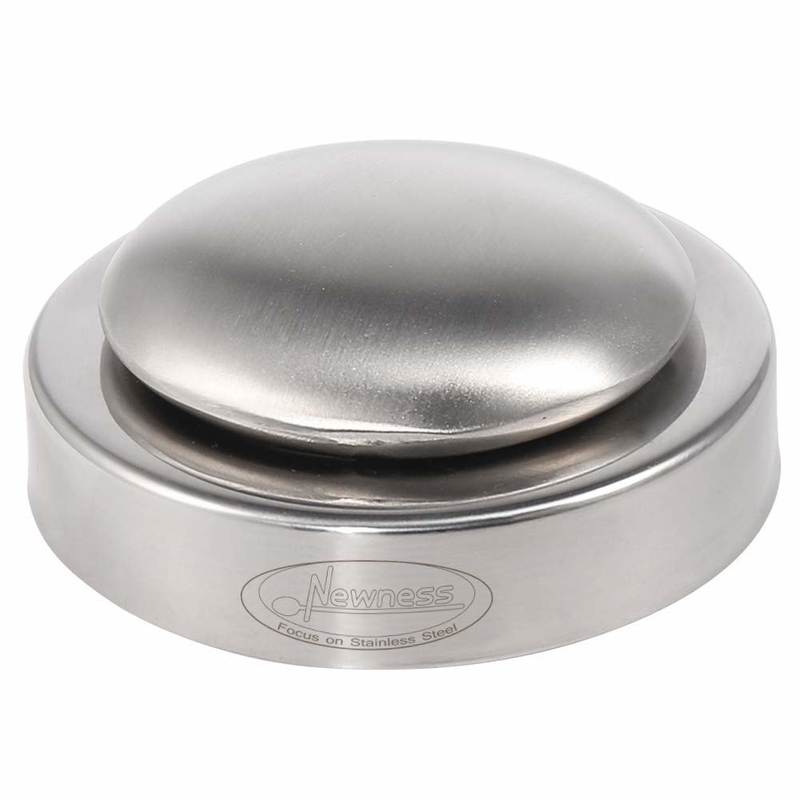 Turn on a wax warmer for delicious fragrance without the need for sprays or open flames. The warmer can double as a night light, the wax melt can be hardened and reused, and you'll never have to deal with empty candle jars again! Get it from Amazon for $23.99+ (available in two colors). And for wax warmers, try these Febreeze ones for $12.99 in fresh-pressed apple, Hawaiian aloha, moonlight breeze, and Gain original. 21. Place a deodorizer pouch into your laundry hamper to neutralize smells until good ol' laundry day arrives. It's non-toxic, reusable, and completely odorless. To rejuvenate, put in a microwave for two to four minutes or place in direct sunlight for a day and reuse. It can last for a few years, so definitely a bargain! Promising review: "It really works. Totally and absolutely absorbs unpleasant odors. I've recharged in my microwave a couple time and it's still working." —Gene D.
22. 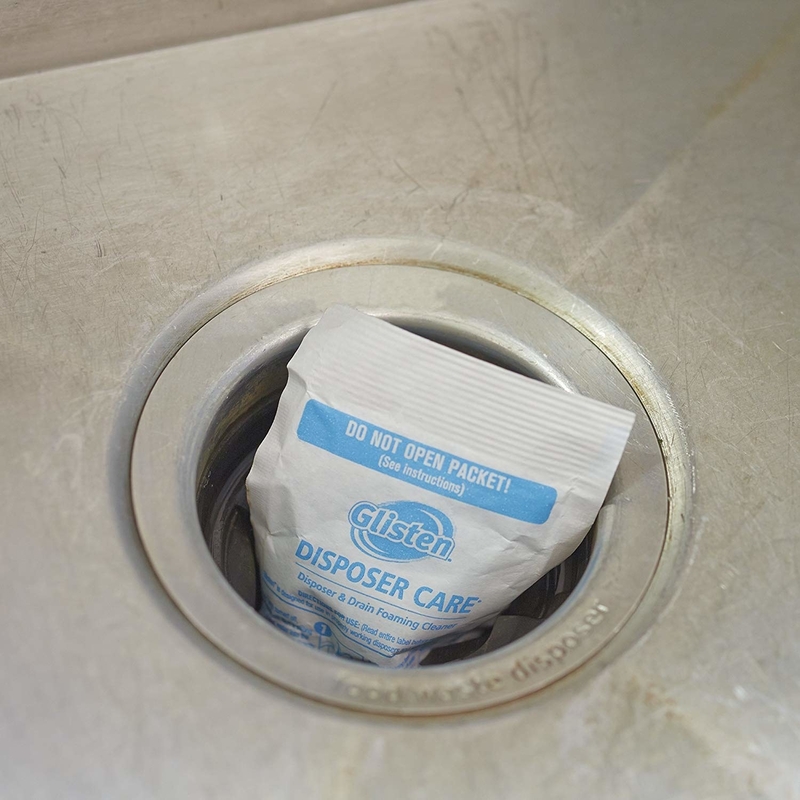 Dredge up whatever mysterious gunk is clogging (and causing a terrible stink) your garbage disposer via a biodegradable packet. The packet will reach deep in drain pipes and blast out ickiness with foaming technology and bleach alternatives. AKA, say hello to an actually fresh-smelling sink. Get it from Amazon for $6.46+ (available in larger packs). 23. Say ~bye~ to that rancid garbage smell with Glad scented trash bags that'll mask whatever leftover is currently rotting. The unique diamond design allows for flexibility without fear of ripping or leaking. These bags hold 13 gallons and are meant for tall trash cans! Get 100 bags from Amazon for $17.99 (available in two scents). 24. 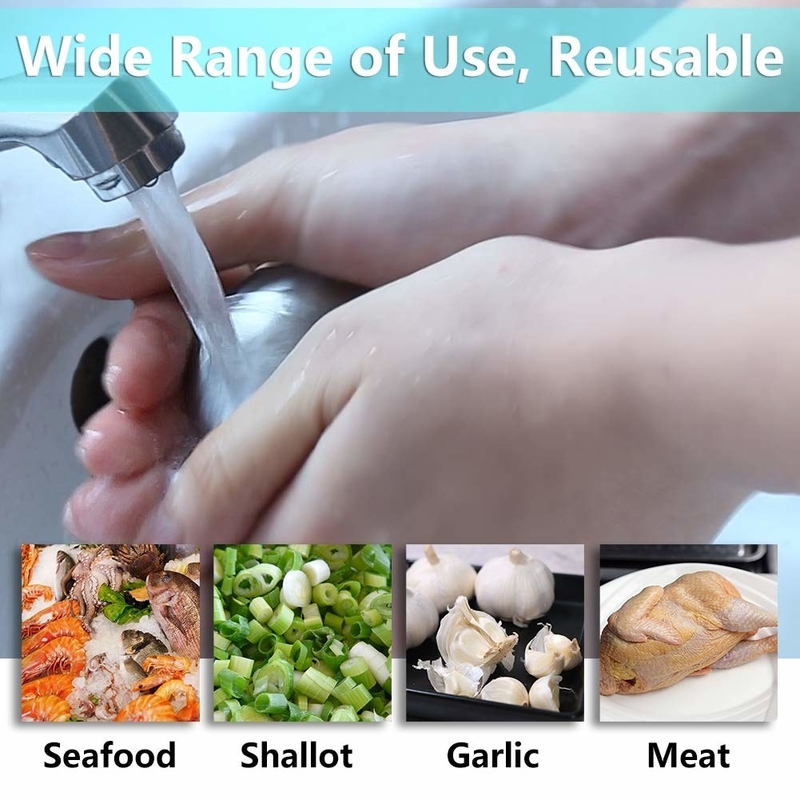 Remove any lingering smells of onions, garlic, and fish after you've finished your latest kitchen creation with stainless steel soap. You can use it just as you would a traditional bar of soap (with water). 25. Spray clothes, bedding, curtains, and sofas with Febreze fabric refresher to neutralize any muskiness without leaving behind a strong fragrance. Sometimes items need a bit of a recharge without the use of heavy perfumes! 26. Free your dishwasher of lime and mineral buildup (which, you guessed it, can cause nasty odors) with Affresh dishwasher tablets. If you've ever noticed streaking on your glassware, these tablets can help! They'll blast away whatever is hiding inside to keep your dinnerware sparkling. Get six tablets from Amazon for $5.39+ (available in a two-pack). 27. Dispose of smoke smells (cigarette, cigar, pipe) by lighting a soy candle. It'll completely counteract the smell, and provide up to 40 hours of burn time. Get it from Amazon for $13.99 (also available as a three-pack). 28. Treat your feet to copper antibacterial socks that are moisture-wicking, bacteria- and fungi-resistant, and super cushioned! With heel tabs, they won't slip down (AKA, goodbye blisters), plus the spandex arch provides support during activity. These socks are unisex and come in ankle and crew options. Promising review: "Surprised that these actually worked to get rid of my son’s rancid foot odor! I was skeptical. After two days of wearing these socks, his feet don’t smell anymore. They used to stink up an entire room after a day at school. I tried sprays and rubbing alcohol, all of which were very ineffective. I just ordered several pairs again for my son." —Margaret H.
Get a 3-pack from Amazon for $9.90+ (available in sizes S/M–XXL, four colors, and in packs). 29. Hang a pair of magical odor-resisting curtains created with the makers of Arm & Hammer. Once hung, they'll last up to five years and only need to be washed once a year! Get them from Amazon for $5.47+ (available in five sizes and three colors). 30. Breathe a sigh of relief, because this odor-removing gel can be placed anywhere and contains no chemicals, harmful ingredients, or intense fragrances. It's safe to keep around children and pets. It's simple! The gel will evaporate as it collects odors, so you only have to refill the container once in a while. Get it from Amazon for $38+ (available in a two-pack). 31. Slip on a pair of breathable bikini briefs so you feel fresh down there no matter your level of activity. The mesh is antimicrobial and allows for airflow, while keeping its shape wash after wash. Promising review: "I ordered two of these for a month-long trip to Europe, and I am so happy that I did! They wick moisture extremely well. They can be rinsed out in the sink and dry by morning. Also, they never have an odor! To be honest, I probably could have made it through my entire trip with just one pair. They are the best travel underwear I have ever had, and I will use them for camping and hiking. They got a little frayed in the seat, but this did not affect performance at all, and I did alternate these two pairs of underwear EVERY DAY for a month." —Barbara B. Get a pair from Amazon for $10.77+ (available in women's sizes XS–XXL and in 12 colors). If you're in need of brand new undies, check out our guide of where to buy the best underwear online. 32. Rescue sports equipment, camping equipment, and water sports gear from mildew, mold, and terrible odors with Gear Aid Revivex. The water-activated microbes will totally rid of bacteria, leaving your gear ready for the next activity. Get it from Walmart for $15.99. 33. 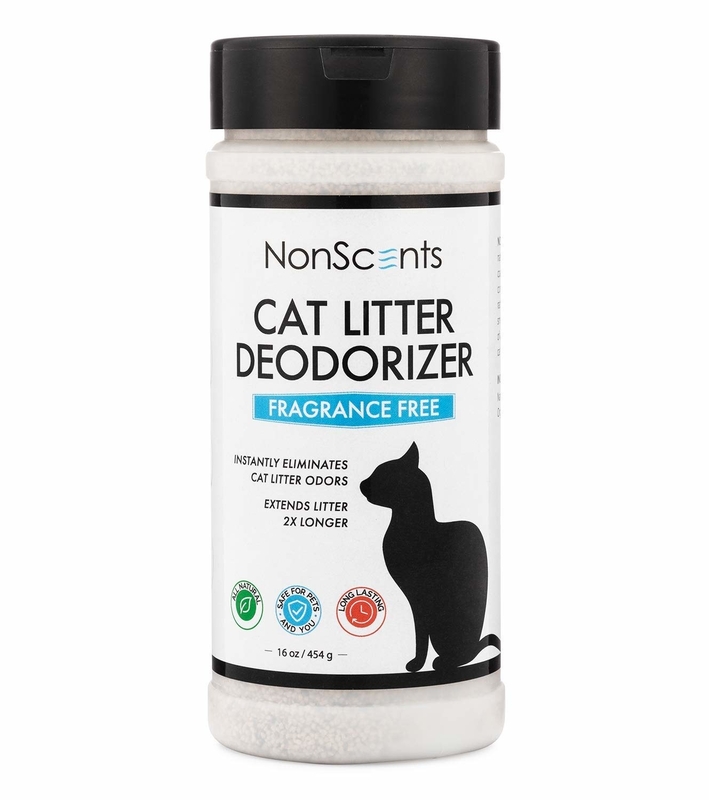 Cover offensive odors wafting from your kitty's litter tray with a potent deodorant. 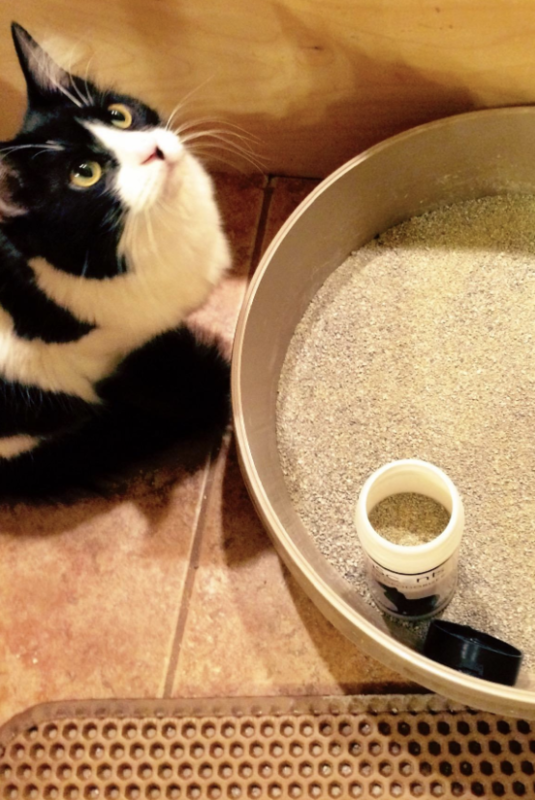 Its professional grade formula is 100%-safe for your feline friend and will extend the life of your current litter. AKA, you spend less money in the long run. It is scent-free and free from chemical additives. Get it from Amazon for $10.99+ (available in packs). Looking for more ways to freshen up your life? Check out some of the best home organization products on Amazon, the best all-natural cleaning products for your home, the best bathroom cleaning products, organization products perfect for neat freaks, and, of course, our ultimate guide to cleaning every single room in your house.